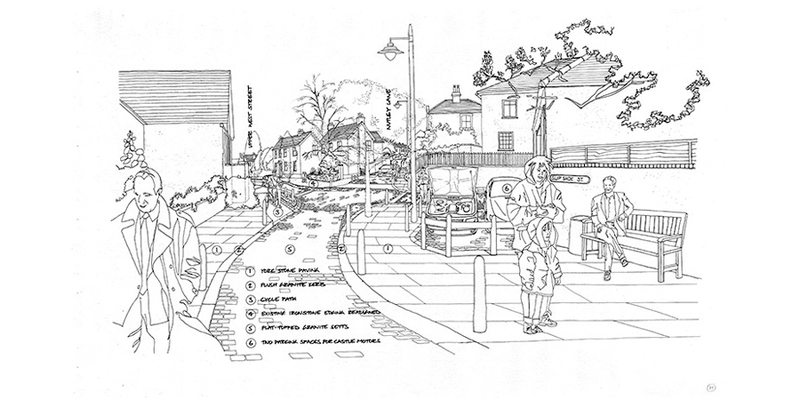 Reigate and Banstead Borough Council asked us to help design the Home Zone improvements to one of Reigate’s oldest roads. 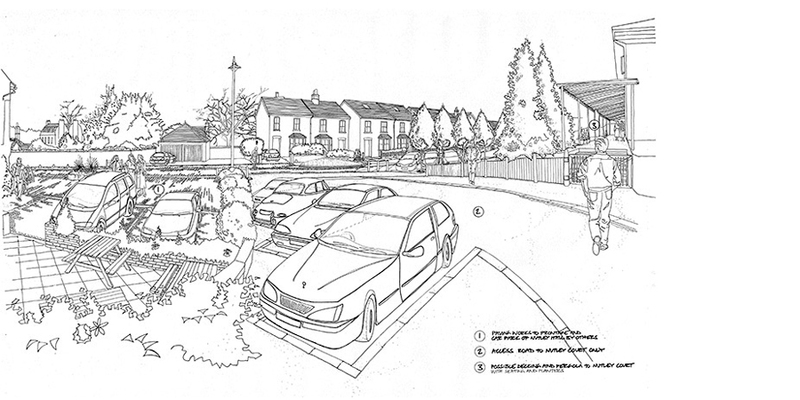 Our design included a new terrace and pergola to Nutley Court, the provision of a new ‘pocket garden’ at the south end of Nutley Lane and new planting and traffic calming measures. 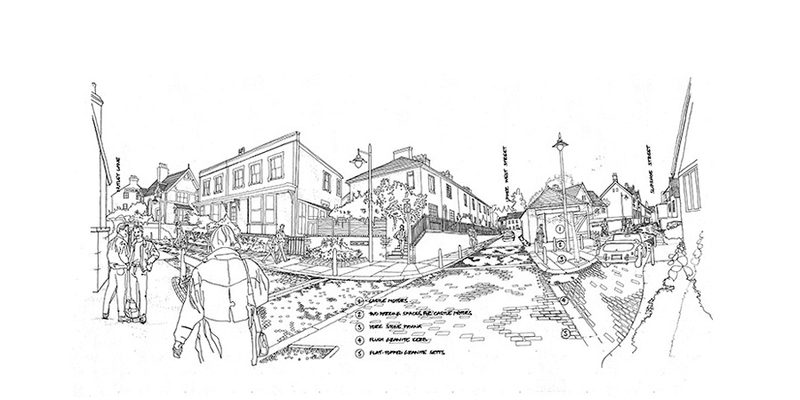 Our drawings were used in various public consultation exercises.